Prominent & Leading Manufacturer from Coimbatore, we offer curd pasteurization plant, yoghurt plant, curd plant and dahi plant. We manufacture the Mini Dairy Plants for various small scale sectors and in numerous capacities ranging from 500 Ltrs/day to 2000 Ltrs/day. Using a small fraction of investment such a plant has great features like no foundation required, largely pre-fabricated module, low processing cost, man power saving, mobile transport availability and less investment as well. We manufacture the Yoghurt Plant for various small scale sectors and in numerous capacities ranging from 500 Ltrs/day to 2000 Ltrs/day. Using a small fraction of investment such a plant has great features like no foundation required, largely pre-fabricated module, low processing cost, manpower saving, mobile transport availability and less investment as well. We are one of the leading manufacturers & suppliers of Curd Plant. 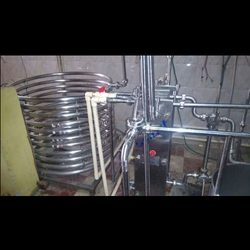 We are one of the leading manufacturers & suppliers of Dahi Plant. 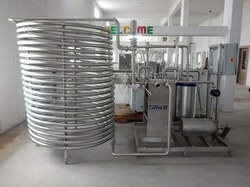 Looking for Curd Pasteurization Plant ?